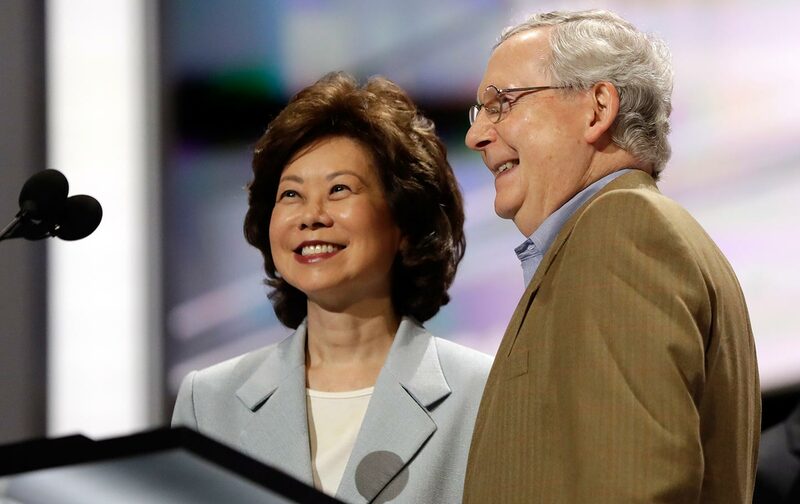 Yesterday, conservatives and business leaders lauded the news that Donald Trump had chosen Elaine Chao to run the Department of Transportation, a position expected to play a key role in pushing through the incoming administration’s promised infrastructure overhaul. As Secretary of Labor, and the longest-serving member of George W. Bush’s cabinet, Chao earned a reputation among Republicans as a loyal and steady operator. Toward the end of the Bush years, criticisms of Chao’s management were confirmed and extended upon in a series of scathing reports by the non-partisan Government Accountability Office (GAO). Stating that Bush-era policies in fact discouraged workers from even reporting stolen wages, GAO’s findings not only offer a vivid window into Chao’s tenure under Bush—they also provide a reminder of which direction federal labor law enforcement may once again turn under the incoming Republican administration, which has not yet announced its choice for Secretary of Labor. One report of child labor made by an undercover GAO agent went uninvestigated. One report of child labor made by an undercover GAO agent went uninvestigated. A complaint brought by an agent posing as a Spanish-speaking immigrant was closed even though the undercover agent told DOL she had received no back wages. An investigator posing as a receptionist paid below minimum wage was simply told to contact Congress. Only one of GAO’s ten test cases put to the DOL during Chao’s last months on the job was properly investigated. Perhaps equally troubling was GAO’s finding of serious record-keeping flaws at the labor department, which make the wage and hour office appear better at resolving cases than it actually was. By failing to make any record of the many complaints that were not resolved, DOL investigators appeared to be artificially inflating their portions of solved cases, GAO found. In comments to media, outgoing labor secretary Chao defended her management. Chao said that labor unions had misconstrued her enforcement approach, which she called “compliance assistance,” a method that “which involves cooperating with companies,” according to Steven Greenhouse at the New York Times. Chao said that her enforcement style emphasized employer outreach and education. During her tenure, she said, occupational injuries had declined to new lows. Yet now that Chao is poised to re-enter the executive branch, the stakes might be even higher than they were eight years ago. As Secretary of Transportation Chao will oversee more than three times the number of employees that report to the Labor Secretary. And, in addition to helping allocate big dollars in infrastructure spending, Chao will also likely preside over the continuing rise of self-driving cars and trucks—a technology that could amount to the largest mechanization of jobs in recent history. The offices Chao would oversee as Secretary of Transportation include the Federal Aviation Administration, the Federal Railroad Administration, the National Highway Traffic Safety Administration and other regulatory agencies that are tasked with keeping our roads, airplanes, and rails safe. In addition to the news of Chao’s cabinet pick, it was also reported yesterday that Donald Trump is considering Pennsylvania congressman Lou Barletta as his labor secretary. While Barletta has not been the most outspoken Republican on labor issues, Politico noted that he had fallen into line with the party in criticizing President Obama’s executive order expanding overtime pay as “ill-considered,” and has assailed federal regulations more broadly. In remarks at an event held by the National Federation of Independent Businesses, Barletta indicated that he sees federal agencies as a problem rather than a potential solution for American workers. For the U.S. Department of Labor, this sort of leadership would not be without precedent.